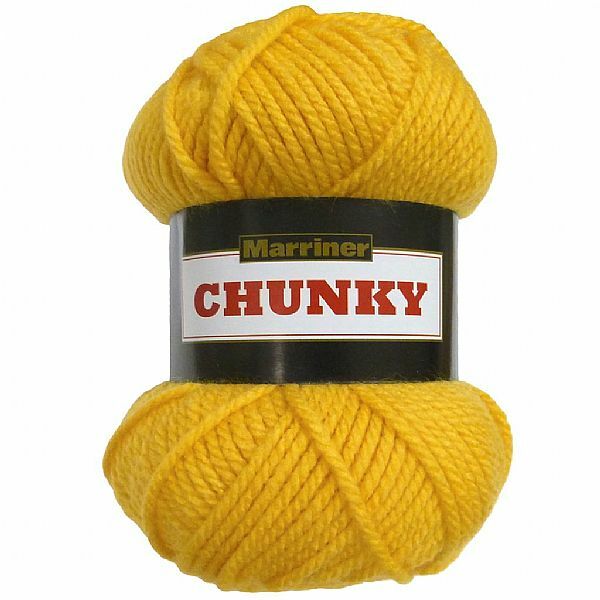 Chunky wool is perfect for creating all kinds of comfortable and cuddly knitting and crochet projects, and Marriners acrylic alternative is no different. Soft, strong and durable, our Chunky yarn can be used with almost any chunky knitting or crochet pattern, including everything from childrens clothing, hats, scarves and other accessories, as well as cushion covers and blankets. As a cheap wool alternative, our 100% acrylic Chunky range is incredibly versatile and adaptable. Offered in our most popular neutral colours like cream, white, oatmeal and silver, as well as eye-catching bright colours like seagreen, mustard and violet, you have the potential to create hugely varied colour palettes.